Children often get accustomed to having a parent next to them when they sleep. This can be a problem in the future since they may end up balking when a parent tries to separate from them during bedtime. However, there are a number of things that you can do to help your little ones adjust to falling asleep alone. Having your children sleep alone is a big step when it comes time for them to be independent. It’s an important skill to acquire since it helps them feel safe and secure despite being alone. It is also necessary to know that a lot of people have things associated to bedtime: some have their favorite pillow or blanket, while others follow a routine like reading a book or writing in their journals before switching the lights off. Fortunately, there are various ways to train your children to go to sleep and break this bedtime habit. Below are some of the best things that you can do to let your children have a better night’s sleep on their own. Before you train them to sleep in their own room, it’s important to prepare your children first. Let them know why you’re doing this to help lessen their anxiety for this new routine. 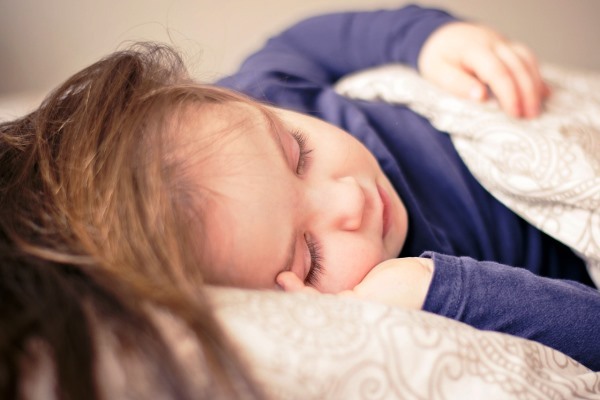 Solving a child’s sleep problem may be challenging but it’s still possible. 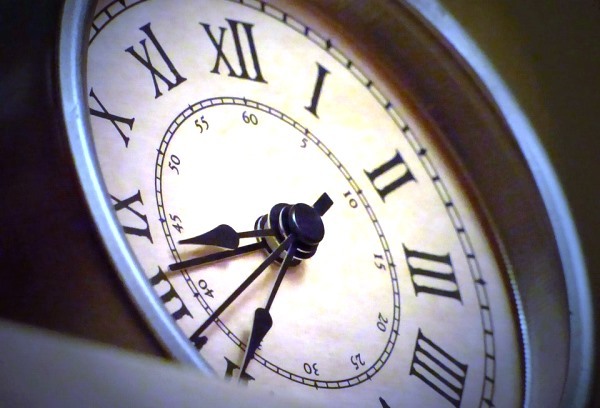 To change the negative bedtime habits, try having a different approach on the situation. Parents of toddlers usually get trapped in this kind of situation, but keep in mind that you are teaching your child to be independent. It is your task to discipline them, set limits, and maintain boundaries even for bedtime routines. Parents fail to solve this problem when they allow their little ones to do what they want to stop them from throwing a tantrum. 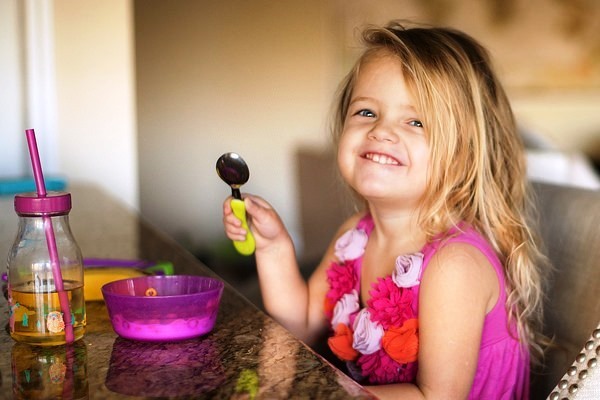 Solving this issue is one step to training them how to go to bed on their own, and gradually, taking these steps will help your children get used to it. When accompanying your children for sleep, sit on a chair instead of sitting on their bed or lying next to them. If they protest, you can tell them that you feel more comfortable in that spot. 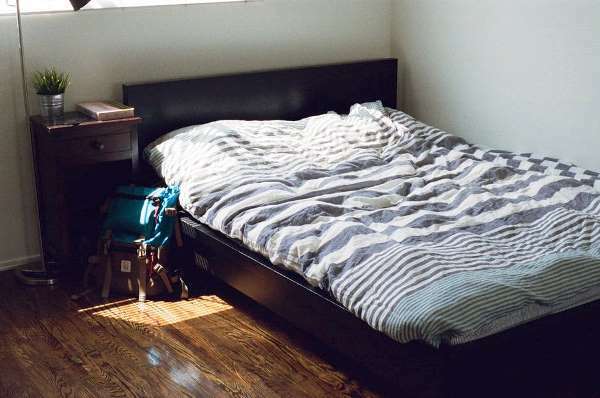 Every night, slightly increase the distance of the chair from the bed, then add bathroom breaks to make your children comfortable in your absence. Slowly moving away from their sight will help them keep their focus on bedtime instead of thinking of having their parent with them. After some time, take a seat outside their room but stay by the door so you can keep track of them if they get up. If they get up to go to you, tell them to go back to bed. Also, leave their room before they fall asleep so they will not be dependent on you. Keep your little ones’ rooms free of distractions to create an environment that will help promote sleep. Remove computers, televisions, and other electronic devices. Keep the room dimly lit with a night lamp for children who might be afraid of the dark. Aside from the distractions and the lights, give your children the chance to choose their sheets; having small responsibilities like this help them feel independent and it will also make them excited for bedtime. One of the causes of unresolved problems is the lack of consistency. Make it a point that your child knows that they have to stay in bed even when you leave their room. If they get up, be firm in telling them to stay in bed and do this whenever it happens. Be sure to do this at all times; otherwise, they will end up being persistent in asking you to stay with them. 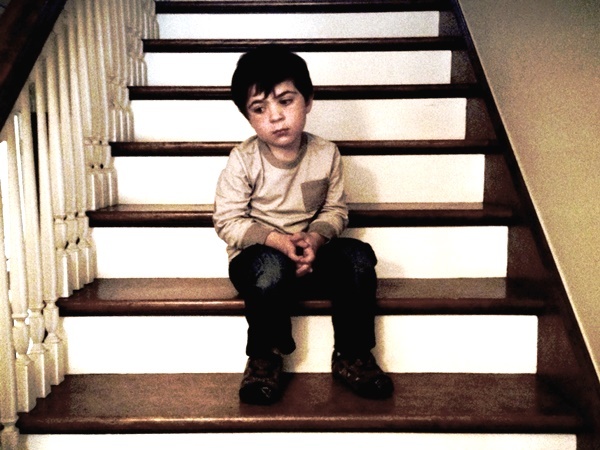 Ignore undesirable behavior such as crying or throwing tantrums whenever you leave them for bedtime. If you see them sleep well on their own, you can let them choose what they want to have for breakfast or select their favorite restaurant to dine in when going out with the family. Having rewards will make them aware that this is what they get for behaving well. 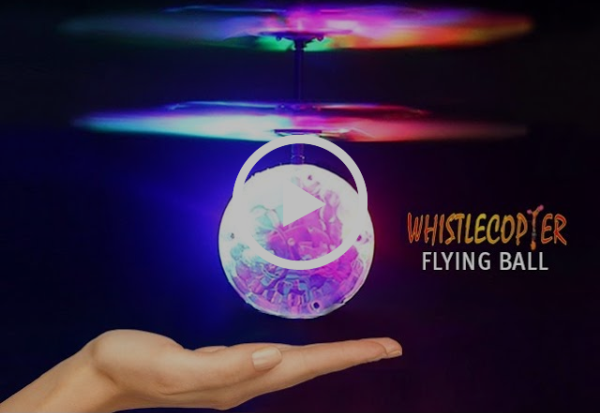 Another reward you can give them is quality time, and one of the best ways to enjoy this is by playing with the LED Flying Ball from Whistlecopter. This toy features flashing LED lights that offer intense visual effect which will definitely amaze your little ones. It has the Intelli-sense feature that allows the ball to fly up and down. 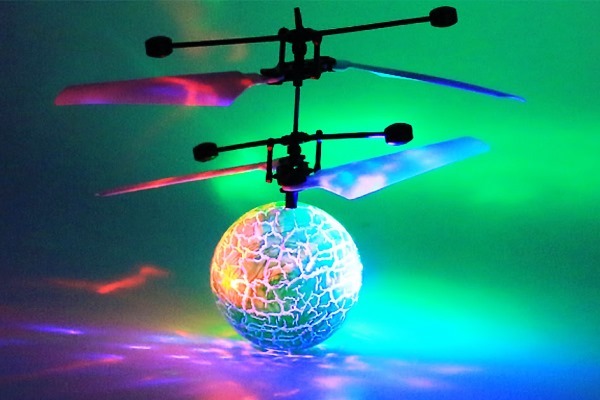 When it’s landing, the LED Flying Ball can also automatically sense obstacles. To charge this toy, connect it to your computer for thirty minutes. The package comes with the LED Flying Ball itself and its own charger. When you finish charging, push the button at the bottom of the ball and it will take off automatically. Place your hand near the sensor underneath the ball when it’s landing to make it fly up again.